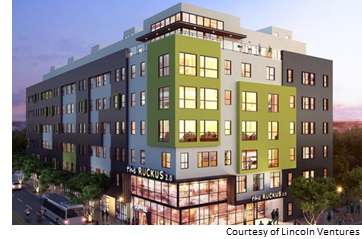 AUSTIN – The Ruckus, a year-old student housing development, is getting a companion property. The Ruckus 2.0 will be at 2401 Rio Grande St. and will rise seven stories with 67 units and 239 beds. Construction started April 2018 and is expected to be done in time for the fall 2019 semester at the University of Texas. Cost of construction only, according to TDLR​, is $12 million. The original Ruckus, at 2502 Nueces St., is 100 percent leased with 45 units and 160 beds.